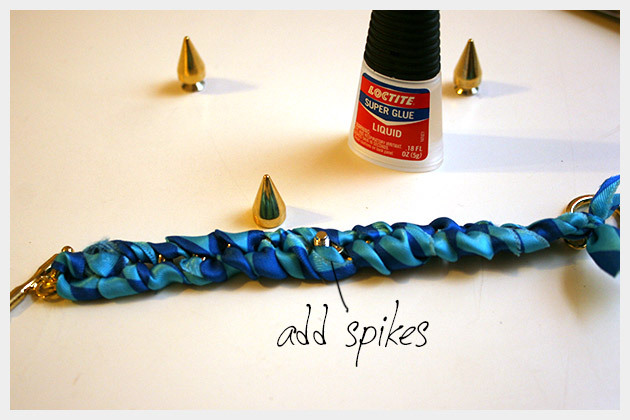 This Spike Bracelet DIY is a fun and easy bracelet to make. 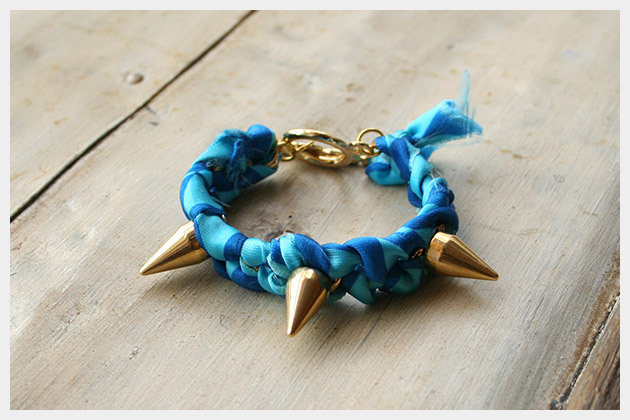 The spikes keep it on trend and edgy, with the contrast of soft ribbon its a great combination for a cool bracelet. 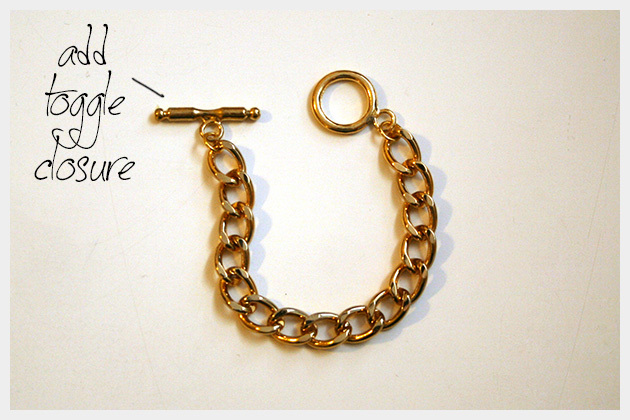 Start with your large chain and measure it around your wrist. Cut your chain one link shorter than your wrist. 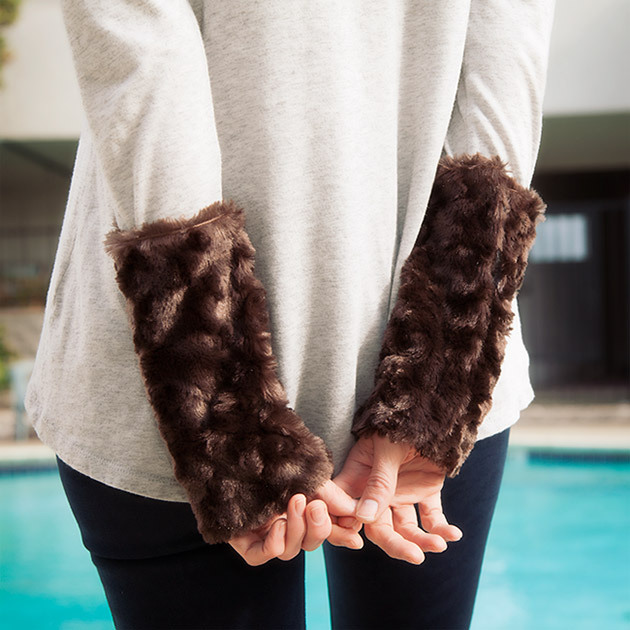 Keep in mind that when you add your closure, it will add another inch to the circumference of your bracelet. I like to keep these bracelets from dangling too much. TIP: If you accidentally cut your chain too short, you can add an extra jump ring to add length. Using your pliers add your closure to your chain with your jump rings. Depending on your ribbon, you will want to cut it down the middle to make it no more than an inch wide. If you use a thinner ribbon, you wont need to cut it. 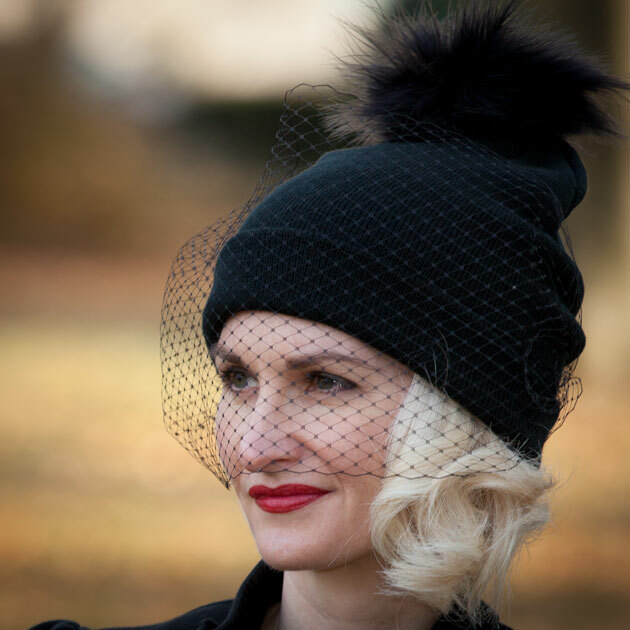 You can also use strips of fabric for this project too. 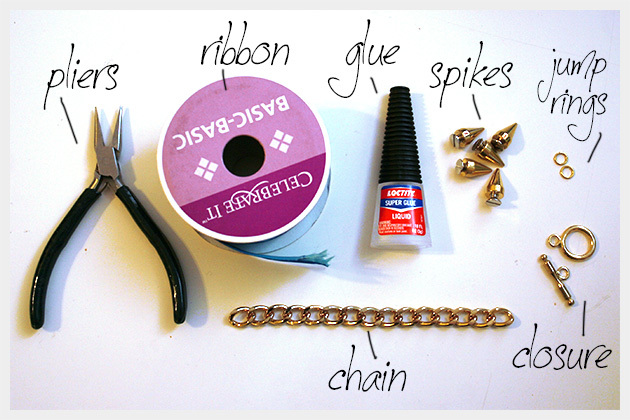 Measure your ribbon to be about 2 and a half times the length of your chain. 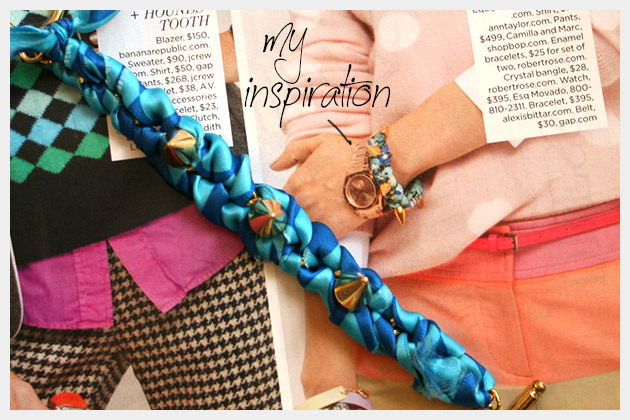 Starting in the middle of your length of ribbon, at one end of your bracelet, start wrapping your ribbon around your chain going down the entire length of your bracelet. 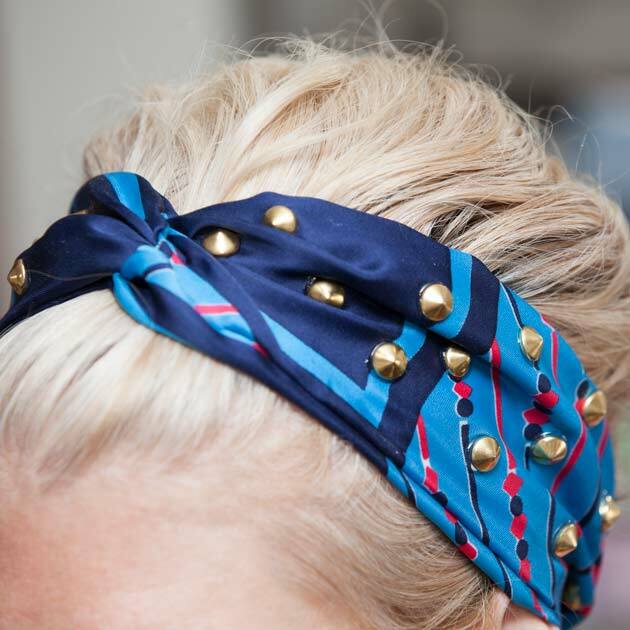 When you get to the end, tie your 2 ends of your ribbon together in a knot and secure with a small amount of fabric glue. 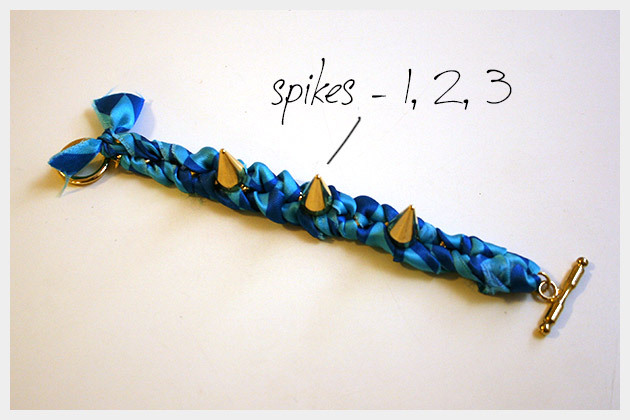 Lay your wrapped bracelet out flat and decide where you want your spikes to go. Have your Loctite ready to secure your spikes. Push the screw part of your spike through your wrapped chain, coming up through the bottom. Put a small amount of Loctite inside your spike and screw it on to the screw part of the spike. Repeat this for your other 2 spikes. 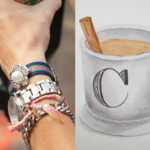 I must be on a bracelet kick right now, because as soon as I finish one I have an idea for another. 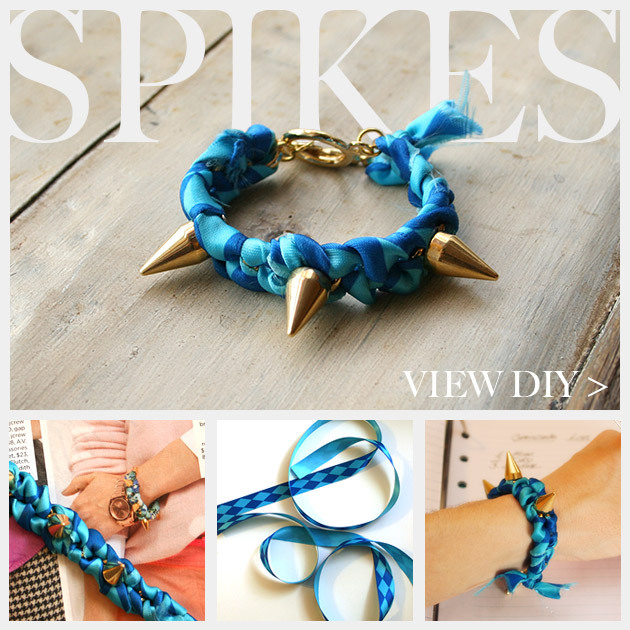 This Spike Bracelet DIY is really quick to make and would make a great gift. 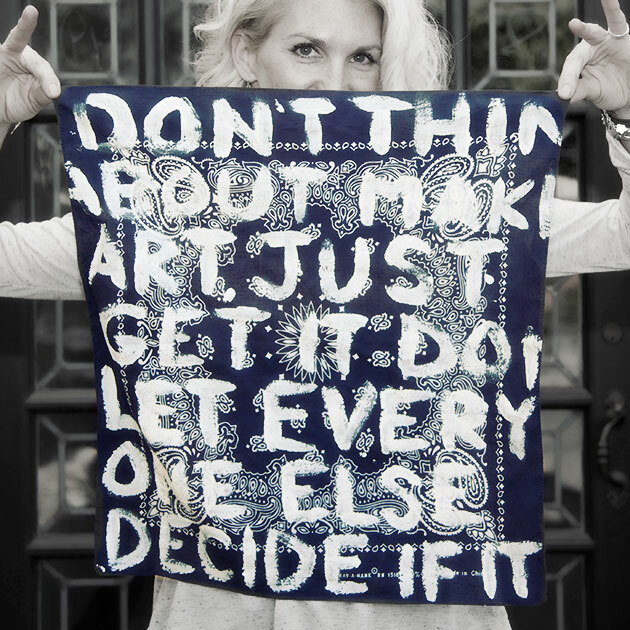 Love this, Cathy! Great job! It looks better than the inspiration piece, and I’m sure cost nowhere near $395 for the supplies! 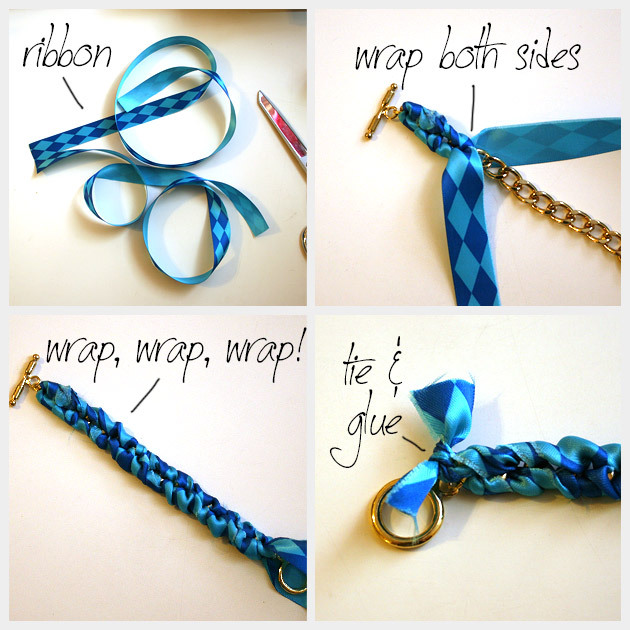 I LOVE this idea…never thought of wrapping ribbon around a chain before…such a simple yet so effective idea! Brilliant…Keep ’em coming!! Very creative, I really feel inspired to do things like this one day!! Keep your good work! !